According to a report done by the Sentencing Project, 1 in 3 black males will go to prison in their lifetime. Filmmaker Rahiem Shabazz examines how policy and environmental circumstances lead to mass incarceration rates for black youth. Shabazz recently sat down with rolling out to discuss his new documentary, Elementary Genocide. What inspired you to write and direct the film Elementary Genocide? Growing up, I found myself on the wrong end of the law. Being incarcerated provided me with the necessary time to reflect on where it all went wrong, and how I could shift the paradigm of my life from negativity and violence to one of positivity and enlightenment. It was through education that I was able to see a new definition of life and it showed me that the unimaginable can become reality. 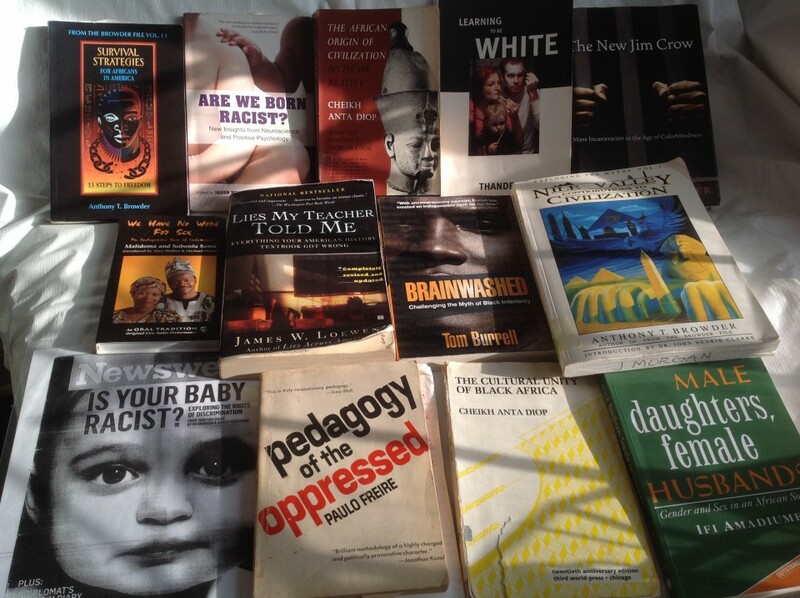 In what ways are young black boys being prepared for prison at an early age? It starts as early as when a young black male enters kindergarten. Education experts say the number of words a black child knows when they start kindergarten is approximately a third of the words a white child knows. Therefore, black boys are at a disadvantage from the beginning. So parents need to start teaching their children before the doors of kindergarten open. By the 4th grade, more than 50 percent of African-Americans do not meet the standard criteria in reading. Statistically speaking, if you’re not reading on grade level by the 4th and 5th grade, there is a 75 percent chance you will end up in prison or drop out of school. Eighty percent of drop-outs end up in prison and 40 percent of that 80 percent are African-Americans. Black boys have statistically higher probability of walking the corridors of prison than the halls of college. Why do you think incarceration rates for young black males are so high? We can start with the disparity in black students who are suspended or arrested at three times the rates of whites for similar offenses. Students who are suspended are twice as likely to repeat a grade and three times as likely to enter the juvenile system. So suspension is a counterproductive disciplinary tool. Secondly, blacks male offenders are sentenced to federal prison terms nearly 20 percent longer than those imposed on white males convicted of similar crimes. Then there is the profit motive from private corporation that invest in prison. The U.S. criminal justice system consumes $212 billion a year and employs 2.4 million people, more than Wal-Mart and McDonald’s combined. The annual cost per inmate in New York was $167,731 last year, that’s nearly as much as it costs to pay for four years of tuition at an Ivy League university. What do you want the overall impact of this film to be? This documentary is about more than just the inmates in our prisons, or even the young boys targeted to fill the beds in those prisons. 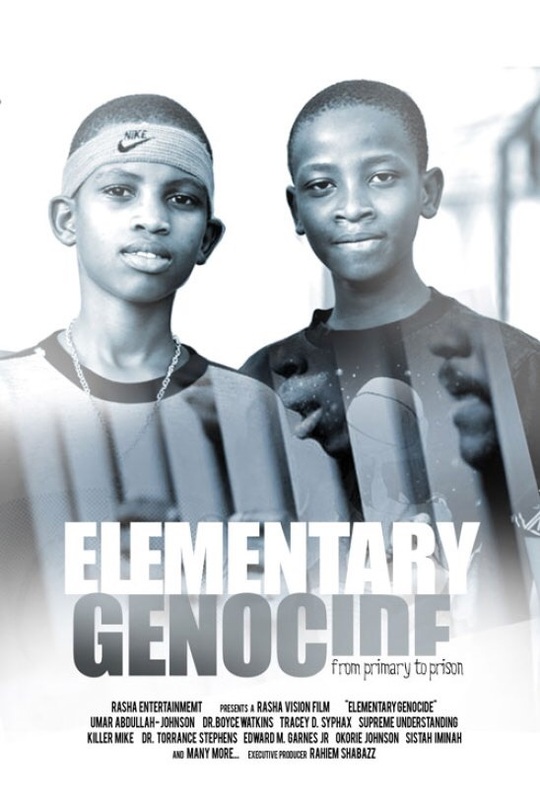 Elementary Genocide is about fatherless children, motherless sons, communities missing leaders. It affects us all. After my stay in the New York State penal system, I made it my mission to help as many individuals stuck in similar situations as possible, and this was my goal when creating Elementary Genocide.